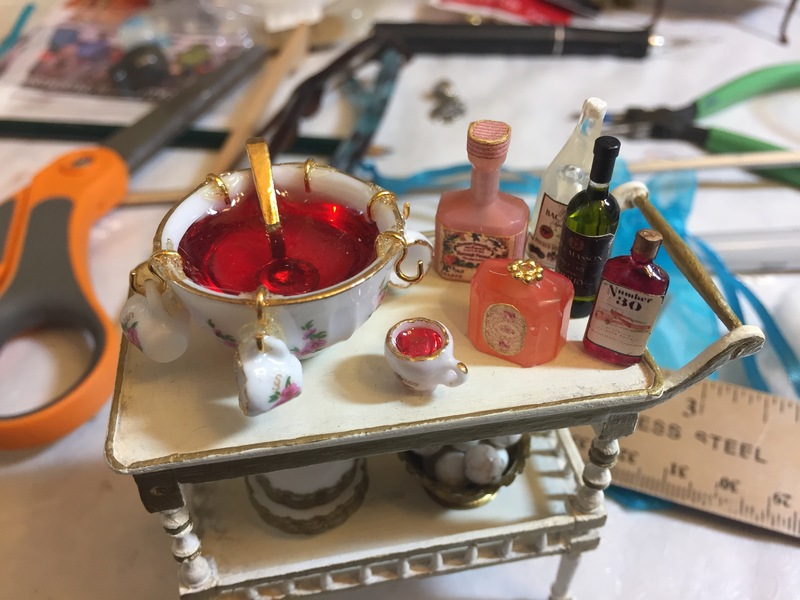 I was redoing a tea cart – just rearranging the items on it. I noticed a pink liquor bottle with a great top. (Picture below) The liquor bottle was made with an electrical connector called a “female disconnect”. You can get these in lots of different colors. Of course you have to buy like 100. But totally worth it right? And I realized that I had gone the extra mile and used this textured paper to make a “cap” on the bottle and then edged it with a gold marker. How great does that look?! And the second liquor bottle, I cut the top part off and then added a gold bead on top. If you’re still reading, you can get these connectors off of Amazon or a site that sells electrical supplies. But don’t search for “pink electrical connectors” (like I did!) They are called “Red”. Ha!